a little more about the Doosan Puma 2000 ST 9sy. . . 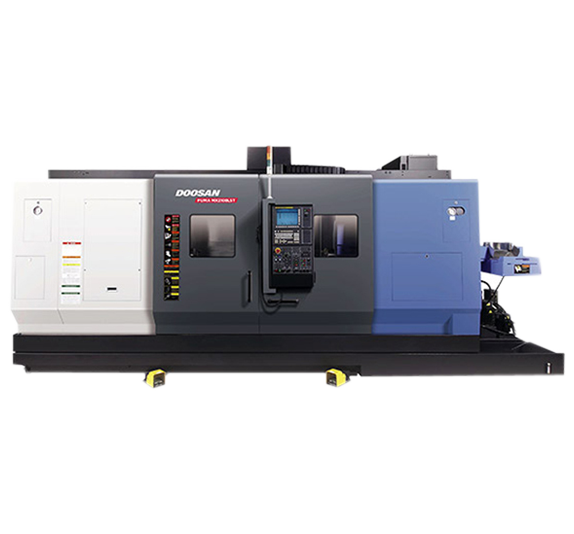 The combined turning center is armed with the functions of a lathe and a machining center. Complicated parts of diverse shapes can be turned only with a unit and one setup. the information below will give you an overview of its capabilities . . .